Do glycemic markers predict occurrence of complications after total knee arthroplasty in patients with diabetes? Patients with diabetes have a greater chance of developing complications such as infections after knee replacement surgery. 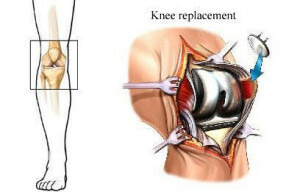 Knee replacement surgery, such as total knee arthroplasty, is commonly performed in patients with knee pain due to knee osteoarthritis. 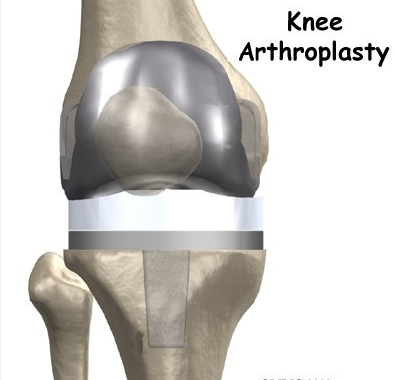 In patients with diabetes, the blood levels of certain chemicals called “glycemic markers” may help the orthopedic surgeon predict the patients that are at risk for developing a complication after total knee arthroplasty. Common glycemic markers include: fasting blood sugar (glucose) levels (FBG), postprandial glucose (PPG2), glycated hemoglobin (HbA1c), and random blood sugar levels. The purpose of this study was to determine if any of the commonly used glycemic markers are linked to complications such as infections after knee arthroplasty surgery in patients with diabetes. The four glycemic markers that were studied were: pre-operative fasting blood glucose (FBG), postprandial glucose )PPG2), glycated hemoglobin (HbA1c), and levels of random glucose levels on 2, 5, and 14 days after surgery. The complications related to diabetes were: surgical site infection (superficial and deep infections of the surgical would), wound complications such as drainage, hemarthrosis, skin necrosis, and/or dehiscence. This study was performed on 462 patients with diabetes. These patients underwent a total of 714 total knee arthroplasty operations. Data was collected and statistically analyzed to determine any significant relationship between the glycemic markers and complications after surgery. Statistical methods such as multivariate regression analysis were used to evaluate the data and control for confounding factors. A p-value of less than 0.05 indicates significant statistical correlation. Study results showed that pre-operative HbA1c and PPG2 levels were best correlated with development of diabetes related complications after surgery (p<0.001). Additionally, after controlling for confounding factors, they found that the HbA1c level of 8 or higher (odds ratio = 6.1, 95% confidence interval 1.6-23.4, p=0.008) and FBG of 200 mg/dL or higher (OR=9.2, 95% confidence interval 2.2-38.2, p=0.038) were associated with a superficial surgical site infection. In conclusion, the findings of this study show that patients with diabetes that are having a total knee arthroplasty, who have a HbA1c level of 8 or higher and/or a fasting blood glucose level of 200 mg/dL or higher developed a superficial surgical site infection If you have been told that you are in need of a hip or knee replacement or suffer from pain, contact our specialists at Orthopedic Surgery San Diego to undergo an evaluation.